Really sad news just in: John Challis, the 18-year-old from Freedom youngster whose two-year battle with cancer became a national story this year, died today. 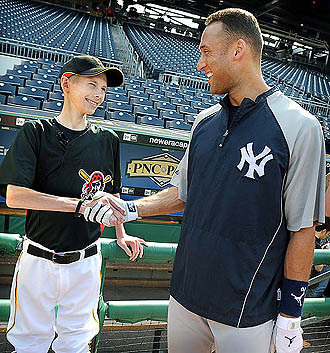 Over the next few months, John watched a Penguins playoff game with Mario Lemieux, was featured on ESPN television, addressed the Pirates before a game and spent an afternoon with Alex Rodriguez at the New York Yankee's penthouse in Manhattan. He was interviewed on national radio stations and on some stations in other cities. ESPN did a story on him for its SportsCenter show. He was an inspiring young man with immeasurable courage. We will miss you, John.